On March 13, class of 44 recruits was sworn in to North Hudson Regional Fire and Rescue. Chief Frank Montagne dispensed some advice. The regional fire department is at its highest employment rate in history. 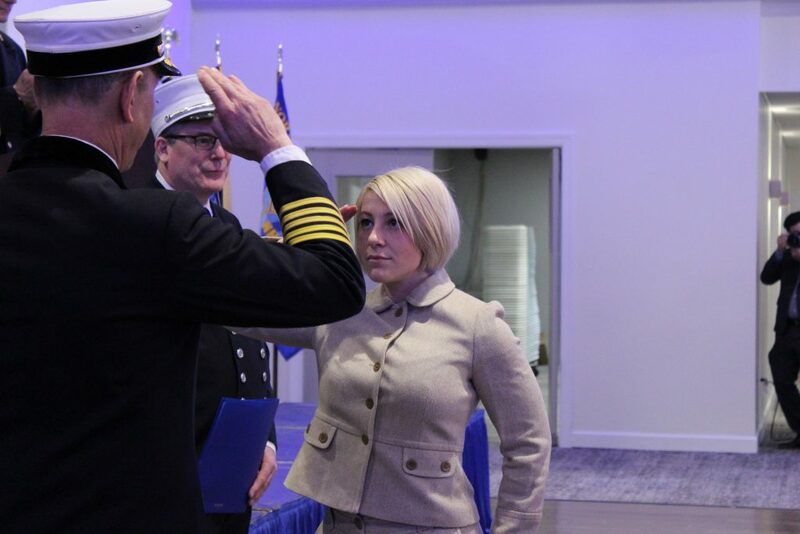 Litza De Jesus is the second woman to join the department's ranks. Weehawken Mayor Richard Turner is the founding chairman. Friends and family were on hand. On the morning of March 13, North Hudson Regional Fire and Rescue held a hiring ceremony for 44 firefighters. 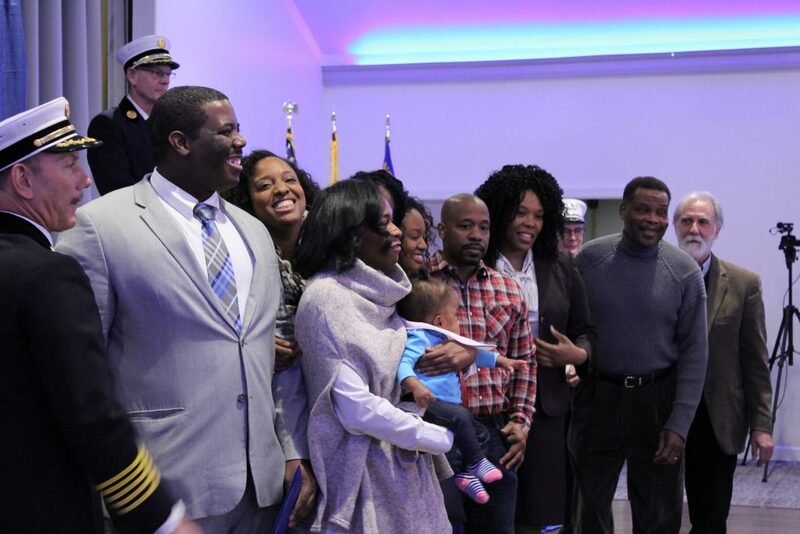 The room was packed with family, friends, and future coworkers in North Bergen. This class of first responders will be the largest the department has seen since it was regionalized in 1999 by the four towns it serves. 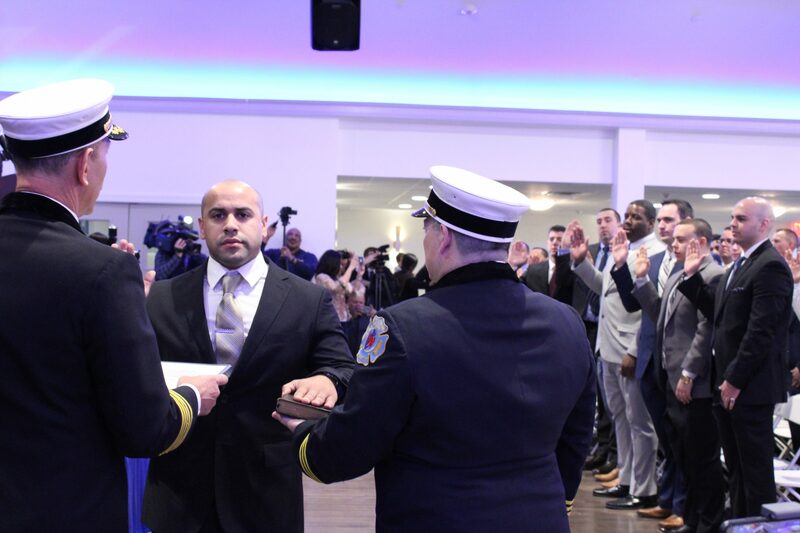 The second-largest class was 37 recruits inducted in 2018, all military veterans. The most recent class will begin its nine-week academy training on March 18, providing better personnel power, ranks, and response times to North Hudson stations. Among the recruits is Litza M De Jesus, the second woman since Lisa Napier joined the force in early 2018. The 44 recruits sworn in by Chief Frank Montagne were Alexis Rodriguez, Joel Pedroso, Manuel E. Amarante, Litza M. De Jesus, Hamdan Jaludi, Corey E. Jones, John N. Prezioso, Miguel E. Pena, Matthew E. Green, Robert E. Rovito, Matthew Dembroe, Anthony F. Talarico, Byron K. Fisher, Kevin G. Donnelly Jr., Emmanuel Suarez, Daniel R. Urban, Rodrigo D. Marquez, Daniel M. Torres, Thomas Gonyou, Troy Hilcken, Bryan A. Fiorella, Jose A. Martinez, Nicholas M. Cordato, William J. Garcia Cruz, Lucas G. Delpiano, Suriguel German, Daniel F. McEldowney, Robert J. Jedziniak, Jose L. Maldonado, Jose A. Alicea, David Isola, Alex Rodriguez, Jorge Fernandez, Matthew M. Drennan, Thomas A. Benavides, Abayemi Arowolo, Kevin D. Conde, Darren Lindsey, Brian J. Murphy, Elie N. Feinberg, Plaze Jordan, Michael Conporti, Marco Collazo, and Mark Petrucelli. 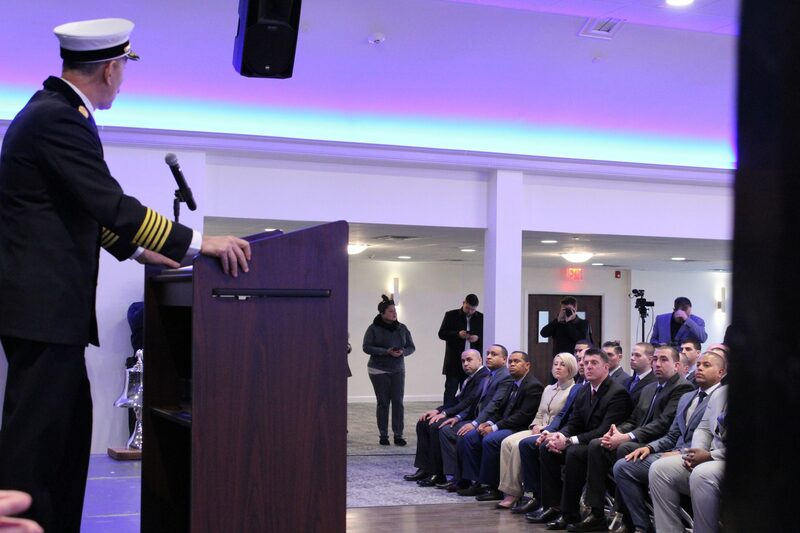 The hiring ceremony was held at The Boulevard in North Bergen and attended by Weehawken Mayor Richard Turner, Chief Frank Montagne, Executive Directors Jeff Welz and Michael DeOrio, North Bergen Mayor Nicholas Sacco, Guttenberg Mayor Wayne Zitt, West New York Commissioner Cosmo Cirillo, and the department’s board members. 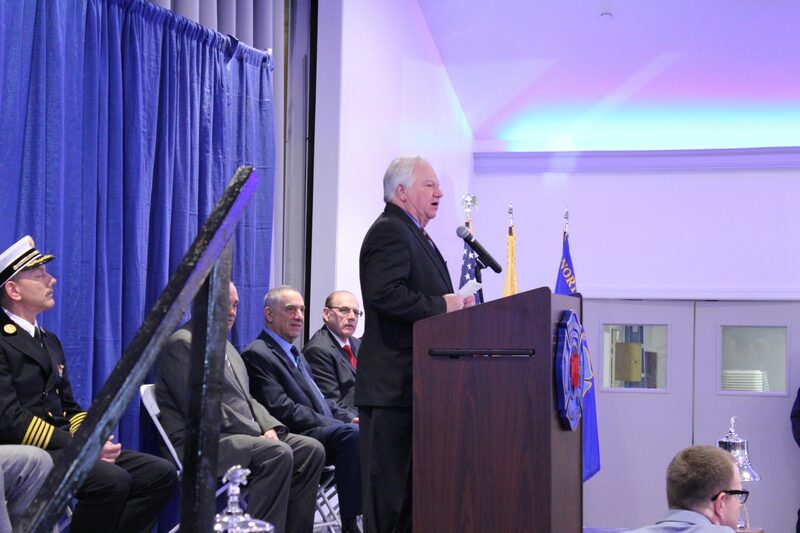 Two of the department’s founding mayors were among those who wished the new recruits safe and successful careers. Turner is currently the chairman of the department’s board, and Sacco was one of the mayors who took part in regionalizing the department in 1999. 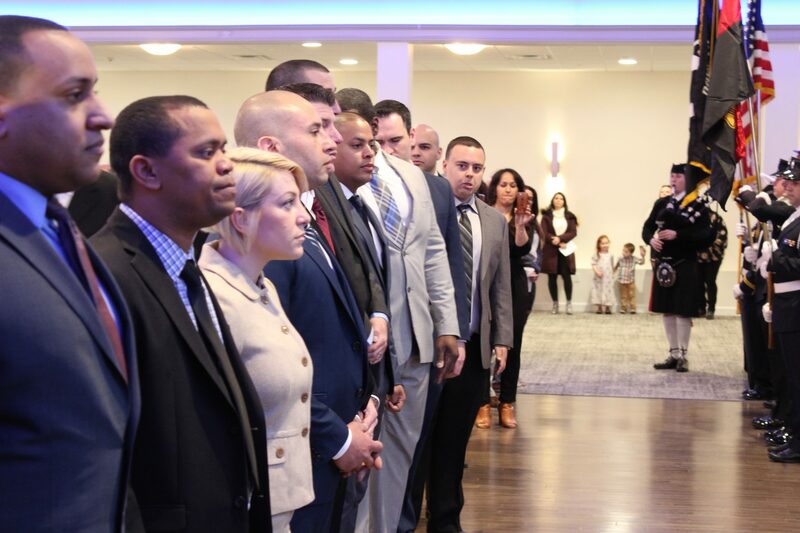 The new recruits began their training on March 18. For updates on this and more stories visit hudsonreporter.com or follow us on Twitter @hudson_reporter. Mike Montemarano can be reached at mikem@hudsonreporter.com.